For Rene Descartes, it was “I think, therefore I am.” Generations of scientists and philosophers have wrestled with this question without a great deal of agreement or success. Giulio Tononi weighs in with his ideas in this hard-to-classify work on the brain and consciousness. Do you call it fiction since it relates a never extant conversation between the narrator of the moment (there are three major ones) and Galileo Galilei, the famous medieval scientist and philosopher? The journey takes place in an extended dream as these narrators lead Galileo through a series of incidents that serve to highlight major neurological discoveries of our time as they also raise significant questions about who we are. The Φ (phi) of the title is defined as a measure of the integrated information of consciousness. No, it is never really calculated (or even estimated). The term infers that the more organized a system is, the more “conscious” it is. The thinking draws heavily on Shannon’s information theory for its foundation. Interwoven are comments and discussions about synapses, neurons, and other brain structures. The identity of the three main narrators is never made clear, but there are strong hints. The first narrator is named Frick, and is presumably Francis Crick, who participated in the elucidation of the structure of DNA and later pursued research on the soul and how the human brain perceives the world around it. The second narrator (Alturi) appears to be Alan Turing, who leads Galileo in an exploration of consciousness. The third bearded narrator explores the evolving perception of ourselves—yes, this must be Charles Darwin. This is a challenging book to categorize as it deals with a number of neuroscientific topics, but it also explores art and philosophy. Is it fiction? Certainly the conversations between Galileo and the narrators never took place (and many of the individuals who were mentioned were not alive until long after Galileo had passed on). Is it philosophy? A number of questions raised in the book are part of the on-going conversation held by those who explore the philosophy of the mind. And there is a fair amount of art appreciation and art history thrown in. The illustrations are supposed to be in color when the book is released. 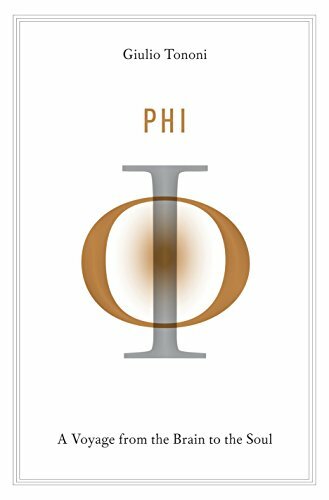 This eclectic mix makes for a challenging read, but one guaranteed to stretch and inform anyone delving into Phi: A Voyage from the Brain to the Soul.